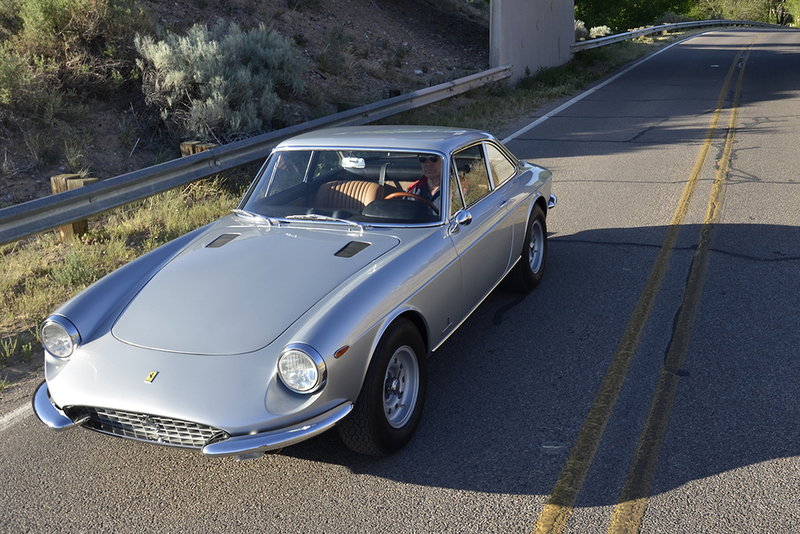 This 1969 Ferrari 365 GTC was a comprehensive project of restoration and improvement that was performed by Carobu. While historically speaking, Ferrari may be most often associated with sports and racing cars, the company also has a illustrious tradition of designing and manufacturing powerful, high-speed GT cars. 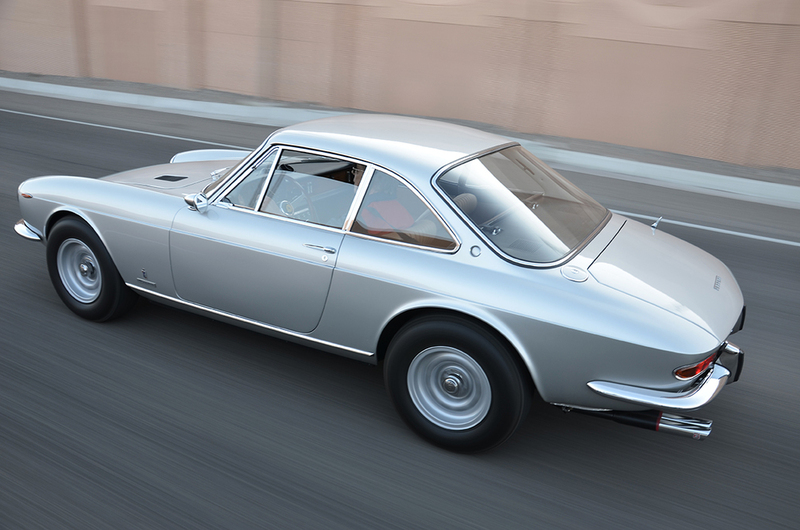 The 365 GTC is one such model. Designed for touring more than sport oriented driving, in its day the GTC was just the Ferrari to whisk its occupants down the Autostrada in speed and style, or maybe to a nice dinner or to take in an opera. This Argento Silver, 1969 example was acquired by its owner in 2005 after a long search for the right vintage Ferrari. 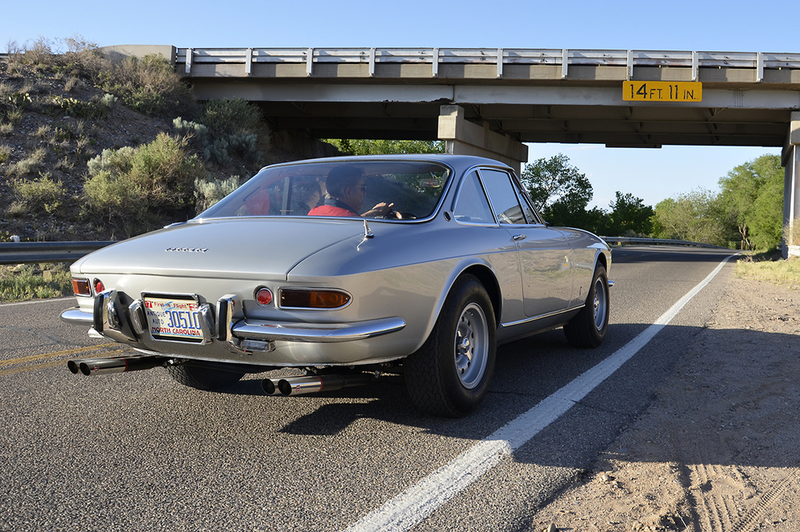 The owner had been searching for a 330 GTC, the 365's less powerful predecessor, and had also comparison shopped the later Daytona, also powered by a front-mounted V12. He decided he liked the 330, but wanted a little more power, so decided to locate a 365 GTC. As the 330's replacement, the 365 shared virtually identical bodywork but had more power. It's also far more rare. While there were around 600 production 330s, it's estimated that were a scant 168 365s made in 1968 and 1969. After driving the car for a period after acquiring it, the owner decided to have the motor rebuilt. It was soon sent off to a well-known mid-western Ferrari restoration shop, where it stayed for longer than was expected. When it was returned, the "new" engine smoked, the transaxle whined and there were a few other alarming issues with the car. This is where Carobu comes into the picture. In January 2010, the 365's owner approached us about having the poorly running motor looked at. Once the Ferrari was shipped to Carobu, engine builder Bert Wehr ran a compression and leak-down test, the latter of which determines how much air is escaping through the rings and valves. The results showed that neither of these parameters were within spec. The compression was 115-125 psi (should be 150+ psi) and the hot leak-down showed 4-12% (5% is acceptable, over 10% indicates the need for a refresh). Making matters worse, when the engine was run on our engine dyno, it was well down on power. Once he got over the bad news, the owner instructed Carobu to rebuild the 365's engine, with an eye towards better street performance. This is after all a Ferrari that gets regularly used, so more power and torque would make it an even better driver. The first step was completely disassembling the Ferrari's V12. Since the engine had supposedly been recently rebuilt, the block was closely inspected and then cleaned and honed to clean up the bores. The stock crankshaft and connecting rods, already quite robust in this particular motor, were retained as well. New small end bushings were slipped into the rods as the originals showed signs of wear. One of the ways that the motor would make more power was by increasing the displacement. In this case, the engine's bore was enlarged, which was accomplished by using Carobu's proprietary 82-mm Razzo Rosso pistons. The custom pistons ensure that the motor's compression ratio is bumped up to 10.3:1, while the displacement is now 4.5-liters, 110-cc over the stock 365's displacement of 4,390-cc. During the previous rebuild, the compression was supposed to have been raised up, but when measured, showed to be only 8.5:1; another reason for the poor performance. To further ensure that the motor would stay tightly bolted together for years to come, Razzo Rosso/ARP hardware was used to bolt the connecting rods to the crank. Once the bottom end of the 365's motor was reassembled, we turned our attention to the remaining mechanical systems. In the process of rebuilding the heads, they were ported for increased airflow (see accompanying chart), which equates to more power and better throttle response from the motor. The valves were replaced with the correct nitrided type. The valve tips on the cheaper stainless steel replacement valves become damaged by the hardened adjuster tips used on the rocker arms. The use of hardened valve stems greatly reduces the chances of this occurring. While the motor still uses the stock exhaust manifolds, these were port matched to the heads to ensure optimal flow as spent exhaust gasses leave the engine. In stock form, the 365 utilizes a trio of 40 DFI Weber downdraught carburetors, which in this case were rejetted on the dyno to work with the improvements to the engine. Lastly, both of the 365's distributors were upgraded by replacing the antiquated points setup with a far more reliable Pertronics electronic ignition. With the engine buttoned up, it was taken into Carobu's engine dyno room, where its increased performance could be verified and fine tuned before it was bolted back into the GTC's engine bay. The changes didn't disappoint, with the newly rebuilt motor putting out 325-bhp (see accompanying dyno graph) at 6,700-rpm and 313 ft-lbs of torque at 4,100- rpm, as measured at the crankshaft.